It’s one of countless sarcastic jokes about my profession that I’ve heard for years, each of them landing with all the comedic force of late-period Carrot Top props. If you search online for the combination “libraries” and “dead” you’ll find various articles proclaiming the same sentiment. I get where this perception comes from. Google and Wikipedia can answer a lot of basic questions that we librarians used to tackle. Issues arising from unglamorous arguments over budgets or the government have also made times difficult for libraries, librarians, and other information professionals. But now that we’ve acknowledged those truths, it’s important to mention another: That librarians today influence the cutting edge more than ever before. We use our skills to bring pieces of the future to wherever you are. Perhaps that’s why ours has become one of the professions that fixed-gear, bike-riding, tattooed hipster types have moved to in droves, as reported in an obnoxious style section article in the New York Times. Maybe that’s why some of our profession’s lingo, words like “metadata” and “curation,” have now found their way into the popular culture and lexicon. Seriously, you can’t throw a stone and not hit someone who is a “curator” of some obscure material or pursuit. In any case, the idea of the librarian just sitting there in a quiet large building, wearing a cardigan and waiting for you to visit, is the only thing that is caught in the past. Even though we do love a good visit, and always have a cardigan ready for when the building’s climate control inevitably lets us down. This might even be a golden age for librarians, sometimes now categorized as “information professionals.” Our culture seems to have reached peak curation, where almost every form of content is carefully chosen and presented for consumption, and the tech world is rushing to organize (and monetize) the insane amounts of information available at our fingertips. We librarians are right at the middle of it all, collaborating on all sorts of new projects and applications. 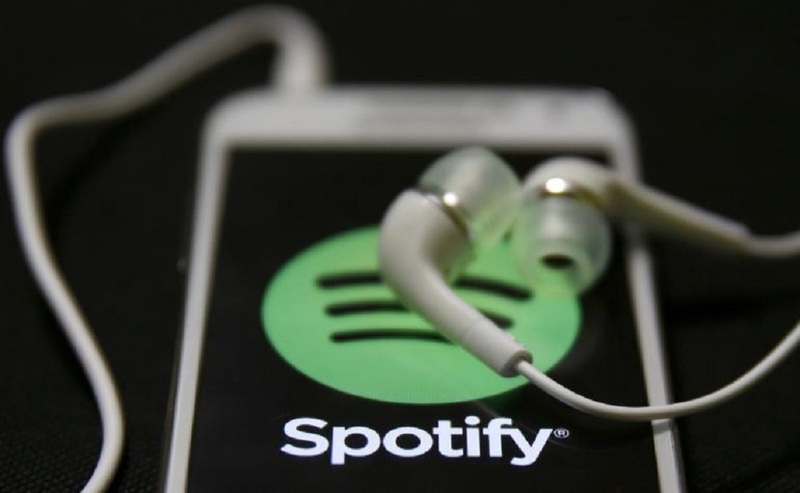 Look no further than Spotify, the streaming music application used by millions every day. It collects and provides access to millions of songs, features a searchable catalog, and curates quality choices that cut through the maddening amount of material that’s available. That sure sounds like the kind of things librarians do every day. So it shouldn’t be a surprise that companies like Spotify and Facebook do in fact have librarians (more than one even!) on staff who collaborate with developers and other bright people to cultivate an experience that has become embedded in your daily internet habits. Of course, they may or may not be called “librarians” in these positions, but the skillset is the same. Cataloging, curation, metadata creation, data management, programming. From the visual presentation of the app, the extensive organization of the information, down to the algorithm that selects songs for your Discover Weekly playlist—our fingerprints are appearing in the core of these new media applications. … the tech world is rushing to organize (and monetize) the insane amounts of information available at our fingertips. We librarians are right at the middle of it all, collaborating on all sorts of new projects and applications. Librarians are also innovating via new initiatives within more traditional spheres, pooling our resources and brainpower to build systems and applications that bridge past ideals with current trends and future possibilities. One result of these efforts has been a push to build portals that harness existing digitization efforts to make archives and special collections materials more available to people where they live, via mobile phones and the internet. This offers researchers the information equivalent of one-stop shopping. Take the creation of the Digital Public Library of America (DPLA), a major leader in this realm. Using metadata records as its engine, this portal brings together millions of items from museums, academic libraries, and public libraries from all over the country in one searchable site. For example, if you were searching for information about the Gold Rush, you could pull whatever materials are available via your local library or university catalog, but DPLA gives you the opportunity to find materials documenting different experiences via libraries in California, Washington, or beyond with one search. Furthermore, all of the data is open-access, which means any librarian anywhere can grab it and transform it to develop new applications and unique experiences for users. Omnia, for instance, merges all of DPLA’s data with all the entries from another large European library portal, creating a searchable timeline. Silicon Valley companies have enviable research and development budgets, but they often lack the collaborative spirit and greater-good mentality that drives public-sphere librarians. In the meantime, many libraries, especially in public and academic institutions, have money to keep the lights on and provide key services like reference and outreach, but don’t always have the means to innovate or build new projects. We have to hunt for outside funding opportunities, competing to score grants to push new initiatives. A frustrating number of good ideas can’t find funding and miss their window of opportunity. Burnout from this battle for dollars is one of the most significant threats to public sector librarianship as it currently stands, dis-incentivizing librarians to dream up creative ways to make knowledge and information available to the wider world. Yet we’re a more resilient bunch than you think. We’ve already survived the transition to the computer age, Google, even e-books—what’s another set of challenges? It’s officially time to toss those old jokes into the vortex where Borat impressions now reside and allow our perceptions of the librarian to evolve. We’re constantly adding new skills, services, and technologies to our expansive toolkit, even if sometimes we have to implement them in the scrappiest way possible. This gives us the ability to move across various industries and shape them with our influence. I’m not sure where it’s written in the ancient library tomes just how much flexibility and evolution this profession actually requires. But the nature of our work ensures that, despite claims to the contrary, we’ll never be stuck in the past. For librarians, the future is always right now. Ian Collins is an American writer with a British name and is currently the Digital Services Librarian at the University of Illinois at Chicago.